Although branded Osram, this lamp was manufactured by Radium. It is distinguished from other mercury products of the era by its high efficiency, having been optimised to deliver maximum output in the vertical cap-up orientation. The standard HQL from Osram at this time employed the magnesium fluoro-germanate phosphor. This achieved a good degree of red rendition for its time, but that coating absorbs a significant percentage of the total lumen output. In applications such as streetlighting where maximum output is desired, and colour correction is not so important, the high efficiency HQLS from Radium and Narva was favoured. 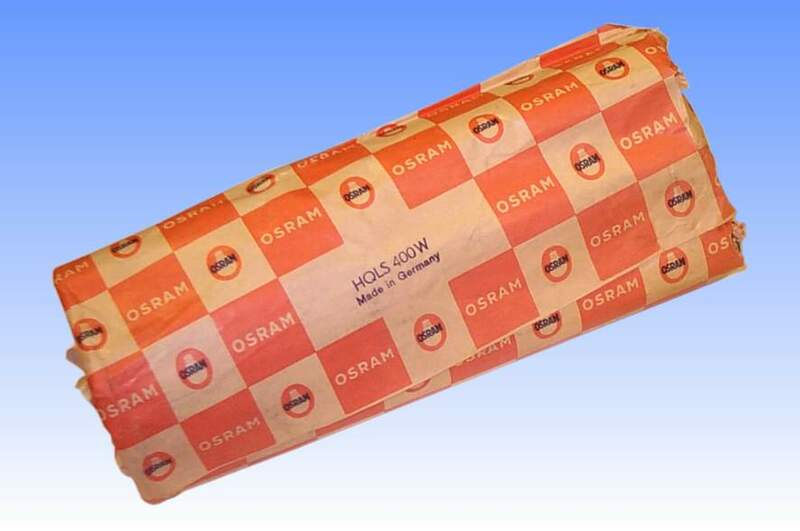 Osram sourced these in for a number of years. 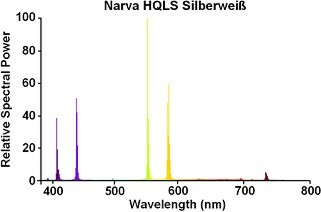 A spectral scan of this lamp reveals that the phosphor emission is very little indeed. There is broad orange emission around 600nm, and blue around 450nm. This is characteristic of a calcium or strontium orthophosphate coating activated by divalent tin, such as in American Type W mercury lamps. However the phosphor intensity is much lower by comparison - perhaps due only to the superior phosphor production processes in USA at that time. It is alternatively possible that a simple halophosphate has been used. 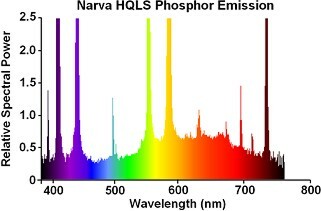 This would show similar emission but on account of its inefficiency when stimulated by the high pressure discharge, would account for the low phosphor intensity. This lamp also employs an unusual asymmetrical bulb shape, similar to the first MAF lamps. 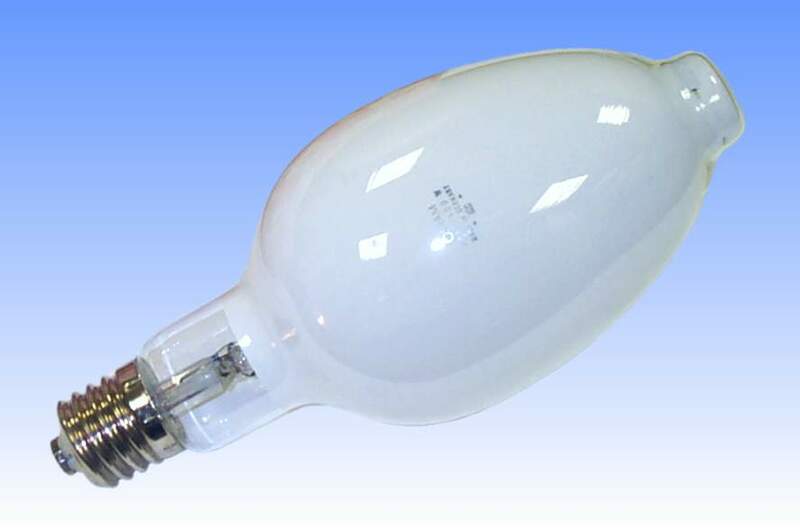 The isothermal profile ensures uniform bulb wall and phosphor temperature in the cap-up burning position. This is important in maximising the output of the already weak phosphors.